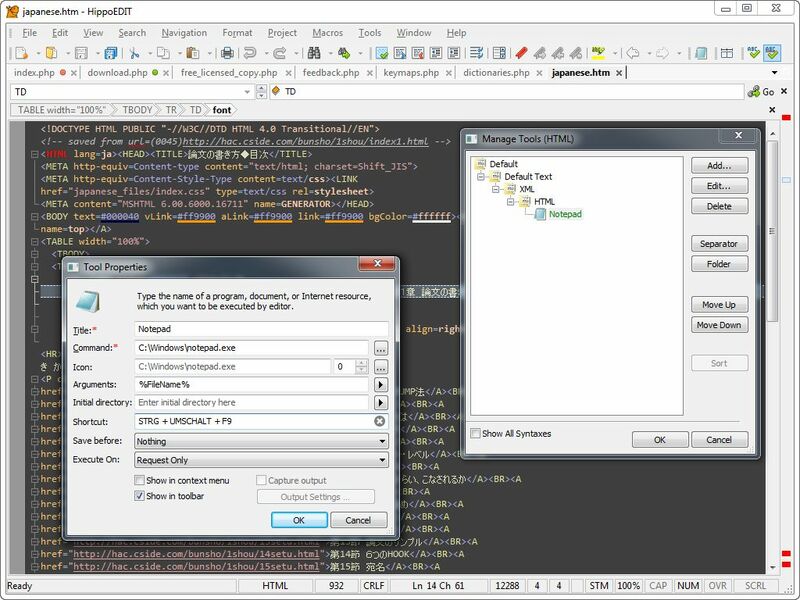 HippoEDIT is Windows text editor for programmers and power users. Hippo Edit 1.60 was available as a giveaway on February 23, 2017! HippoEDIT is a Windows text editor for programmers and power users. 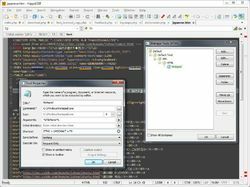 One can use it as full featured IDE with the support of projects, external tools, and auto-completion, or as simple source code viewer for web browsers and shell. 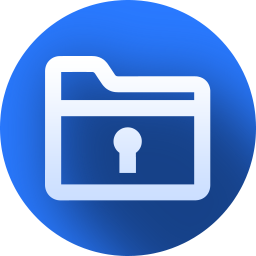 With HippoEDIT, you can open large log files, view and edit Unicode texts, open files in different encoding and line break styles. The editor has syntax highlighting and code outlining support for many programming languages, plugins extending the editor with new functionality (FTP Explorer, File Explorer, Spell Checker, Emmet and JS Beautifier, HTML Tools, XML Pretty Print, Live Colors etc.) and color schemes. 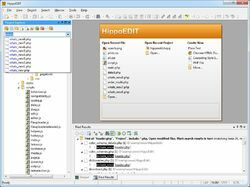 HippoEDIT has many unique features that you will not find in other editors, which may speed up and simplify your work: Hierarchy and Navigation bar, Colored Braces and Guides, inline color and image previewers, Intelligent Smart Highlight, Code Hints, Fuzzy search, User Text Highlighting, Multi-Clipboard, and Workspaces etc. How would you improve Hippo Edit 1.60? Alex from HippoEDIT, Re your "• GAOTD HippoEDIT edition can NOT run portable." You represent the maker, so I can expect you to know everything there is to know about this programme. But my experience is different. I installed the giveaway as portable on a virtual W7 32 and copied the programme folder to my real W10 64 desktop. And there it runs fine. As a portable. Alex from HippoEDIT, Re your "• GAOTD HippoEDIT edition can NOT run portable." You represent the maker, so I can expect you to know everything there is to know about this programme. But my experience is different. I installed the giveaway as portable on a virtual W7 32 and copied the programme folder to my real W10 64 desktop. And there it runs fine. As a portable. I assume it will run fine then copied, but will not be indicated as registered to GiveAwayOfTheDay in About Box and will start to show Nag screen in some days. krypteller, BUT that does not make the GAOTD builds license.dat file portable, it apears to be machine/hardware specific so even if we can generate a portable program folder the license.dat file needs to be generated in the users appdata folder by the GAOTD specific build installer on each machine the so called portable build is to be used on... or as Alex said the GAOTD HippoEdit edition can not run portably... if you try to do it truly portably, which I have done, without a pre-installed valid license file on and for each host machine the portable program will run as an unregistered trial on any machine that the portable folders license.dat was not created on. Alex from HippoEDIT, Re "... will not be indicated as registered to GiveAwayOfTheDay in About Box "
You are right. But that can be solved, as we both know. Alex from HippoEDIT, Re "... will not be indicated as registered to GiveAwayOfTheDay in About Box " You are right. But that can be solved, as we both know. TK, Re "... the GAOTD builds license.dat file portable..."
The activation is not stored in the GAOTD builds license.dat, but somewhere else. And in a universal way. That is why it runs as a licenced GAOTD version on my desktop, while I installed it on another machine, a virtual one and copied the programme folder to my desktop. TK, Re "... the GAOTD builds license.dat file portable..." The activation is not stored in the GAOTD builds license.dat, but somewhere else. And in a universal way. That is why it runs as a licenced GAOTD version on my desktop, while I installed it on another machine, a virtual one and copied the programme folder to my desktop. TK, Re your " ... if you try to do it truly portably, which I have done, ... the portable program will run as an unregistered trial on any machine that the portable folders license.dat was not created on." It is clear you and I use different methods to create truly portable software, i.e. software that will not leave any trace in the registry and %AppData% etc, but only in the folder the portable runs and its subfolders. I made two portable versions yesterday on a virtual PC and they run as fully GAOTD activated portables on all other PC's I tested them on. TK, Re your " ... if you try to do it truly portably, which I have done, ... the portable program will run as an unregistered trial on any machine that the portable folders license.dat was not created on." It is clear you and I use different methods to create truly portable software, i.e. software that will not leave any trace in the registry and %AppData% etc, but only in the folder the portable runs and its subfolders. I made two portable versions yesterday on a virtual PC and they run as fully GAOTD activated portables on all other PC's I tested them on. Question: Are you planning to add a Hexi-Decimal Editor as a plug-in or as somehow part of the program proper? maybe it is too late but in this case, you can mail me directly to alex at hippoedit. 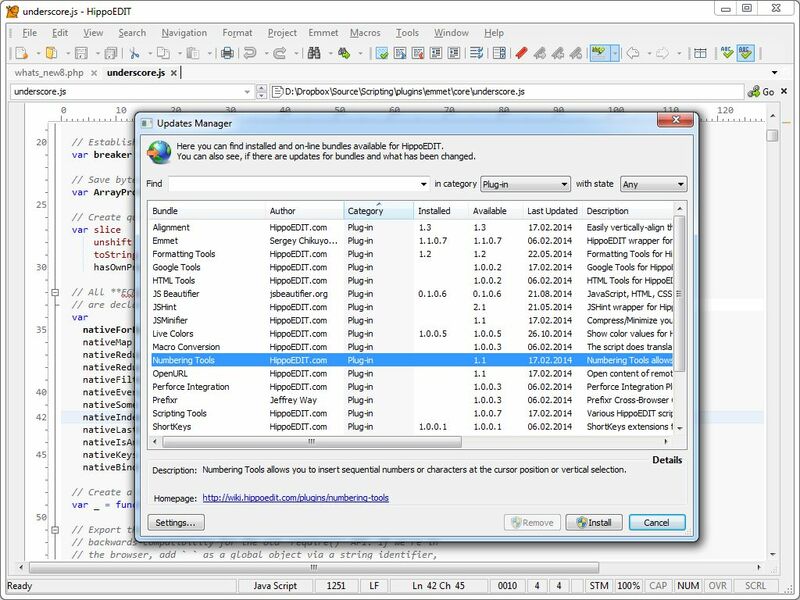 The Hex Editor plugin is already available for HippoEDIT 2.0 and can be tested by registered users (the link for 2.0 alpha posted in registered area of HippoEDIT forum http://forum.hippoedit.com/alpha-version-test-(major)/hippoedit-2-00/ ). It is not yet, finished, and still in development, but will be full featured with HippoEDIT 2.0 release. The license for 1.60 can be used and for 2.0. I downloaded this giveaway a few years ago from GAOTD. Loved it so much I bought the full program. I use it to create ebooks for Kindle with all the extras. In my experience with using Hippo Edit, it does everything I want brilliantly; and, of course, does much more for those who are more advanced users. The developer gives fantastic customer service - even before I paid for the program - and even allows the user to have the program on other computers for the cost of one version. I was originally using Notepad ++ but found this program to be more inclusive and capable. I downloaded this giveaway a few years ago from GAOTD. Loved it so much I bought the full program. I use it to create ebooks for Kindle with all the extras. In my experience with using Hippo Edit, it does everything I want brilliantly; and, of course, does much more for those who are more advanced users. The developer gives fantastic customer service - even before I paid for the program - and even allows the user to have the program on other computers for the cost of one version. I was originally using Notepad ++ but found this program to be more inclusive and capable. "You cannot request new features and influence the development"
for those members that take advantage of the download. Seems counter-productive to me. Still, what do I know about Software Development? I find it strange that the developers are giving this away for free to GAOTD users and yet have the rule <strong>"You cannot request new features and influence the development" </strong> for those members that take advantage of the download. Seems counter-productive to me. Still, what do I know about Software Development? I got HippoEDIT from ShareWareOnSale. It was version 1.60.43 and today's version is 1.60.44 so only a very minor difference. However, I liked it so much then that I purchased a copy of that version. I highly recommend it. It does good tab management well except that it, unlike Notepad++, doesn't seem to allow one to split the workspace into two halves and then treat each half separately. You can tile horizontally; however, that will create a window for each tab. You cannot just go to View just specify a second window and be able to load each half of the screen separately. Try Notepad++. It's better and free. Tried it, but IMO, Notepad++ is better. Hi M. H., read the comments below - it was already answered. There was no new version update but were at least 17 new builds = to minor updates with more than 150 changes. See HippoEDIT forum for detailed information about changes since then: http://forum.hippoedit.com/beta-version-test/ But of course, if you are happy with the previous version you may use it too ;) BR, Alex. When I select a "new line" symbol and command replace the characters "\r\n" are shown but when I try to replace with something else (example "\n\n") the error "cannot find string" is shown. I am still using PFE because it allows me to find/replace tab and newline characters. How can I do this with HippoEDIT? When I select a "new line" symbol and command replace the characters "\r\n" are shown but when I try to replace with something else (example "\n\n") the error "cannot find string" is shown. I am still using PFE because it allows me to find/replace tab and newline characters. How can I do this with HippoEDIT? try to enable Regular Expression flag. I feel it is a bug, that it is not enabled by default after you paste line break into find field. Another one, HippoEDIT uses real line break symbols when you do the search. So, you can not find "\n\n" in the document using Windows line breaks "\r\n". You need to replace than "\r\n". "\n\n" is a replacement for two empty lines in a document with Unix-style line breaks. Hi dan benDan, try to enable Regular Expression flag. I feel it is a bug, that it is not enabled by default after you paste line break into find field. Another one, HippoEDIT uses real line break symbols when you do the search. So, you can not find "\n\n" in the document using Windows line breaks "\r\n". You need to replace than "\r\n". "\n\n" is a replacement for two empty lines in a document with Unix-style line breaks. BR, Alex. Looks like a really awesome offering. I won't be using this app because it seems like a quite a bit above my head at this time. Thanks GOTD for the offering and thanks everyone that provides comments and feedback to this forum. I have truly learned more from reviewing these giveaways each day than I seem to have learned in my independent research and hands on learning. How is this better than notepad++ or slickedit or compare to? Hello Matt, see my comment below. BR, Alex. Alex - Hippo installed nicely on my XP machine, but it is NOT installing on my Win 7 Pro 64-bit machine. I have downloaded from GAOTD twice - no help. I have your PREVIOUS version installed so it's not horrible, but please help. Alex - Hippo installed nicely on my XP machine, but it is NOT installing on my Win 7 Pro 64-bit machine. I have downloaded from GAOTD twice - no help. I got a Windows error window four times now. The "Problem details" are: Problem signature: Problem Event Name:	BEX Application Name:	setup.exe_unknown Application Version:	0.0.0.0 Application Timestamp:	584dca35 Fault Module Name:	StackHash_4c0d Fault Module Version:	0.0.0.0 Fault Module Timestamp:	00000000 Exception Offset:	80000008 Exception Code:	c0000005 Exception Data:	00000008 OS Version:	6.1.7601.2.1.0.256.48 Locale ID:	1033 Additional Information 1:	4c0d Additional Information 2:	4c0d4d78887f76d971d5d00f1f20a433 Additional Information 3:	4c0d Additional Information 4:	4c0d4d78887f76d971d5d00f1f20a433 I have your PREVIOUS version installed so it's not horrible, but please help. Thanks. from what I see in error log - the crash is not related to HippoEDIT. Crashed GAOTD wrapper around HippoEDIT installer. Or GAOTD has renamed the installer file... There is nothing similar to "setup.exe" in HippoEDIT package. Hi glnz, from what I see in error log - the crash is not related to HippoEDIT. Crashed GAOTD wrapper around HippoEDIT installer. Or GAOTD has renamed the installer file... There is nothing similar to "setup.exe" in HippoEDIT package. Try regular installer from HippoEDIT web-site: just start it without installing till the end (to not overwrite your copy) to see if it runs. If it works, GAOTD installer has a problem - send me a personal mail (alex at hippoedit) and I can send you link to the unwrapped installer. 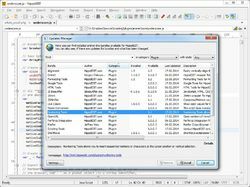 If HippoEDIT standard installer crashes on your side - well, there is a problem on HippoEDIT side which is not so easily solvable. I assume you have some libraries missing on your Win7 X64 machine... BR, Alex. I just sent you an email, but I think the problem was my Avast AV Free. I turned it off for 10 minutes and the GAOTD setup.exe ran well. Seems to be working. If possible, please GAOTD and you speak with Avast and see if you can get Avast to be a bit better. Many thanks. Look forward to playing with this. To Alex from HippoEDIT, I just sent you an email, but I think the problem was my Avast AV Free. I turned it off for 10 minutes and the GAOTD setup.exe ran well. Seems to be working. If possible, please GAOTD and you speak with Avast and see if you can get Avast to be a bit better. Many thanks. Look forward to playing with this. Does not install on my laptop. get the message saying successfully activated, but nothing else happens. Downloaded and re-installed several times, but no succes. do you know, what exactly does not work? Have gone through HippoEDIT installer install process? Or just seen GAOTD wrapper? If HippoEDIT is installed it shall be activated automatically. Hi Daniel , do you know, what exactly does not work? 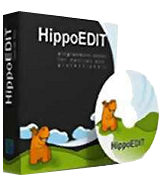 Have gone through HippoEDIT installer install process? Or just seen GAOTD wrapper? If HippoEDIT is installed it shall be activated automatically. BR, Alex. After running setup (also as administrator) I get the message that HippoEDIT has been successfully activated and the GAOTD website comes up. Only the unzipped files are in the install directory. File explorer does not find any other files related to HippoEDIT. No error messages, no other comments. After running setup.exe (also as an administrator) I get the message that HippoEDIT has been activated and that is it. Nothing is installed, and the GAOTD website comes up. The install directory contains only the unzipped GAOD files and nothing else. Alex from HippoEDIT, Hi Alex, After running setup.exe (also as an administrator) I get the message that HippoEDIT has been activated and that is it. Nothing is installed, and the GAOTD website comes up. The install directory contains only the unzipped GAOD files and nothing else. It seems that your anti-virus system is damaging the installation files. Sometimes this happens because of the protection system that we use in order to prevent unauthorized installations after the end of the giveaway. 1) disable the anti-virus suite and restart the computer. You need to disable all the anti-virus systems if you have more than one installed. Make sure it won't start automatically upon the system boot. There should be no problems with the installation. Make sure you switch your anti-virus back on after the installation. Please mind that all the files are checked for viruses beforehand, so you may rest assured, the installation is 100% safe. Giveaway of the Day, this is one of the worse recommendations I have seen. Recommending disabling of antivirus from a vendor (in this case "Giveaway of the Day" are a vendor as they wrap the original vendors installer ), are telling its users we do not know how to make correct code, please remove all your protection so we can bypass it. This are one of the reasons I often do not install the Giveaway of the Day delivered software, but download trials from official vendor. It is not a Giveaway if it is not fully free, and turning of the protection, cost on my security side. Giveaway of the Day, this is one of the worse recommendations I have seen. Recommending disabling of antivirus from a vendor (in this case "Giveaway of the Day" are a vendor as they wrap the original vendors installer ), are telling its users we do not know how to make correct code, please remove all your protection so we can bypass it. This are one of the reasons I often do not install the Giveaway of the Day delivered software, but download trials from official vendor. It is not a Giveaway if it is not fully free, and turning of the protection, cost on my security side. Is it the same version as offered last time? Anything different? Thanks, Alex and GAOTD. Is this 32-bit only? Is it the same version as offered last time? Anything different? yes, GAOTD version is 32bit only. It is also 1.60 version as last time, but newer build: so includes bug fixes done till last offer and some small features (it is a minor update). The list of changes may be tracked on forum: http://forum.hippoedit.com/beta-version-test/ (sorry I do not remember which build version was previous one). Alex from HippoEDIT, my thoughts exactly! Kestrel, did you read the readme.txt from the downloaded file? and what is written in About Box? The GAOTD installer is preregistered - there is nothing extra to do from your side to get it registered, except installing it. Hi Kestrel, and what is written in About Box? The GAOTD installer is preregistered - there is nothing extra to do from your side to get it registered, except installing it. BR, Alex. Kestrel, my installation didn't require any registration. If you check under Help>About HippoEdit it should say "This copy is registered to Giveawayoftheday". Mine does. If yours doesn't, kick up a fuss! Alex from HippoEDIT, I saw that so my question is - why does it still say unregistered?? I'll try downloading and reinstalling. Kestrel, well, it took two more tries to download and install but finally got it to install and register! No idea what the problem was but happy that it has now worked. good that it worked. Honestly, I do not know what is a reason for that - if it is already downloaded and not corrupted to be started and be installed, I assume it shall work. The only reason I may think is that registry access is some kind blocked... Registry used for GAOTD version for keeping registration. Hi Kestrel, good that it worked. Honestly, I do not know what is a reason for that - if it is already downloaded and not corrupted to be started and be installed, I assume it shall work. The only reason I may think is that registry access is some kind blocked... Registry used for GAOTD version for keeping registration. BR, Alex. prashant kumar, try to download it again ( the downloaded file could have been corrut during download !!) also your AV may be blocking the app. I have to add it as an exception in my Avast AV. We had this Hipo 2 years ago, I must admit I seldom used it (I use NP++) . But still I reinstalled this today on my 7SP1 with no apparent problems. We had this Hipo 2 years ago, I must admit I seldom used it (I use NP++) . But still I reinstalled this today on my 7SP1 with no apparent problems.